Sometimes, one session is all you need. You may know exactly what you want to focus on and don’t necessarily want to keep having sessions. In these cases Single Session Therapy or a Breakthrough Coaching Session could be perfect for you. Maybe you have a big life event coming up or are going through some kind of transition. Single Session Therapy or Breakthrough Coaching Sessions can be ideal for marking events like big birthdays, weddings, new jobs, moves, retirement and more. Perhaps you have had therapy or coaching in the past and something has happened so you want a ‘tune up’. 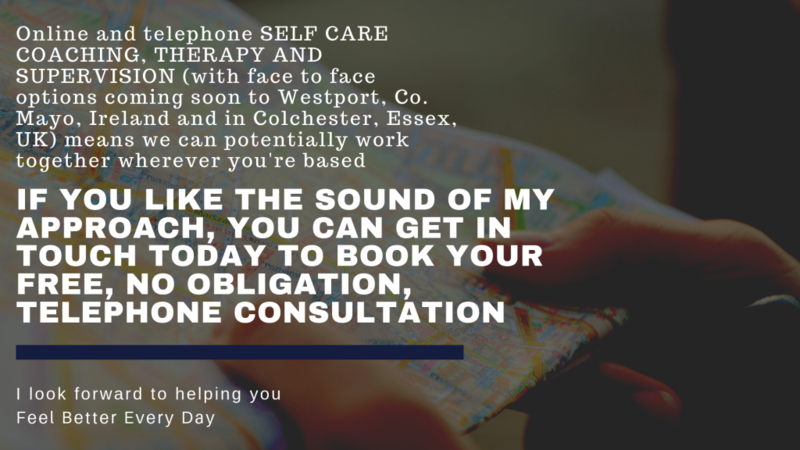 Mostly working by telephone or online via secure video conferencing, I have some Single Session Therapy and Breakthrough Coaching Sessions availability in Colchester, Essex and Westport, Co. Mayo, Ireland. 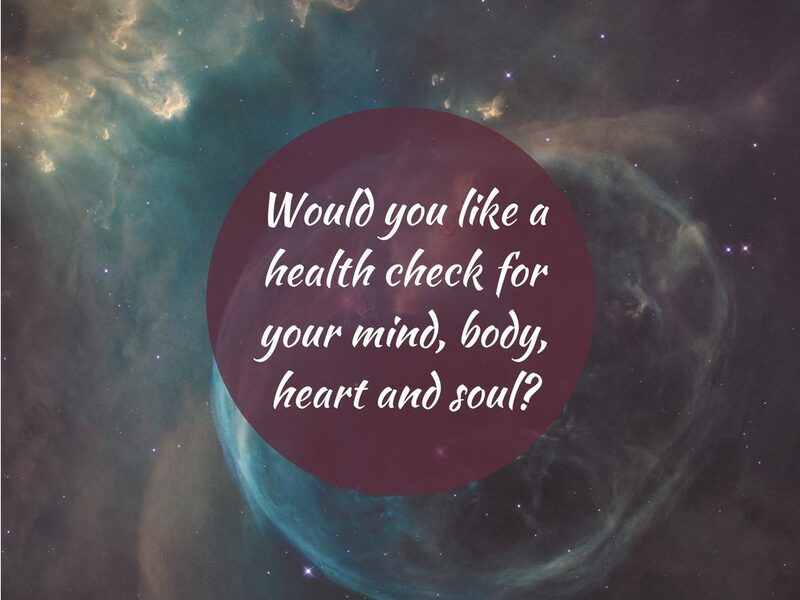 Like an MOT for your mind, body, heart and soul, Single Session Therapy or a Breakthrough Coaching Session helps you look at where you are right now and what you can do – quickly – to improve things for yourself. 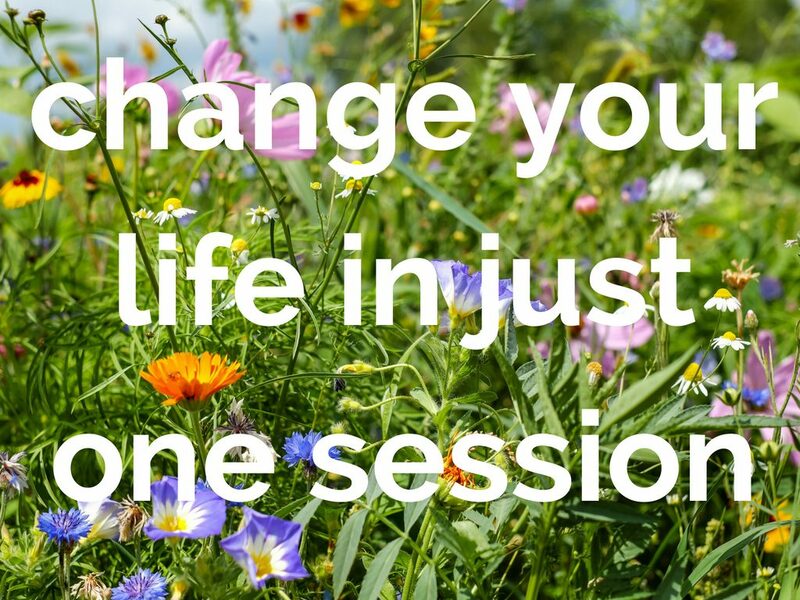 This one off session may occasionally lead to ongoing sessions but for many people, one session may be all you need. * learn techniques to put in place to help you make life better. Single Session Therapy and Breakthrough Coaching Sessions last for 2 hours. Where done online, they include a five minute break as telephone and online work can feel more intense. Apart from the price, what’s the difference between Single Session Therapy and a Breakthrough Coaching Session? Single Session Therapy mostly draws on my background and experience as a BACP and IACP accredited and registered psychosynthesis counsellor. Single Session Therapy may also, if you want and, if appropriate for the issue you’re targeting, include yoga therapy, EFT and/or crystals. Single Session Therapy is sometimes known as SST or brief therapy. We’ll start with my asking you some specially designed questions to help us get the most out of our two hour session. Then we can explore the issue you want more targeted therapy around. Finally, as well as having had the safe, confidential space to reflect on how you’re feeling about it in a way that we often only get in therapy, you’ll leave with one or two practical tools to continue supporting yourself with. Breakthrough Coaching Sessions draw on my background and experience as a coach, since 2004, and NLP Master Practitioner. While I’ll still ask some questions at the start to help us maximise our time together, we’ll dive in to explore the issue you are ready to breakthrough around and ground the work by creating a road map to help you support yourself and stay accountable on the journey ahead. As with all my work, Single Session Therapy and Breakthrough Coaching Sessions are collaborative processes. I’ll offer you different options throughout the session so you can benefit from a bespoke experience that will best support you.